Mafia III and Steep will probably be the games that catch most people's attention from this lineup, but the Destroy All Humans! games are worth a look for a quick laugh, and LocoRoco Remastered presents a great opportunity to play one of the PSP's best loved titles. All the above games can be streamed to PS4 or PC, and downloaded locally to your console. Elsewhere, PlayStation Now is getting a small but useful update with the addition of 'Collections'. Essentially, this is a new way for the service to sort the vast number of games it offers, grouping them together by platform, genre, themes, and presumably more. This is rolling out to PS Now subscribers over the next week, so if you don't have the new option yet, it's on its way shortly. Are you happy with this PlayStation Now update? What will you be streaming, or downloading? Please don't actually destroy any humans in the comments below. Great additions to the service, especially Mafia 3 and Steep. Hopefully they will be added to the EU as well, because there is a disparity between what games are available in what region at the moment. @tomassi I take it you have Now. So, I have a dumb question, can you get trophies from playing games on Now? Good to see they're finally taking PS Now a bit more seriously. There's some good additions here. @Kidfried You can. Been playing Asura’s Wrath & been getting trophies for it. Can’t take screenshots for PS3 games though. Looking forward to trying out Steep! Timely. Already got Mafia 3 through PS+. @tomassi That is if the EU remembers about the service. Seriously though, I have totally fell in love with that game. I completed two playtroughs (for the "good" and "killer" way of playing) and would have regardless of anything else. The game has superb driving mechanics (if played on Simulation mode), shooting and even stealth. That's for the "ludo" in the ludonarrative consonance of this game. The narrative part is far out! The only bad thing is a glitched "New Boss" trophy which may prevent you from getting that Platinum. @Kidfried hey! I'll be honest (and maybe I'm weird, or so it seems) but I literally have zero interest in trophies. There I said it. I got it off my chest. Phew, what a relief!! So the answer to your question is, yes I have PS Now but I have no idea about trophies on there! @Fight_Teza_Fight They seem to be putting most PS Plus games on there which has led me to not bother renewing Plus and just stick with Now instead. I don't play online anyway, so I think Now is actually the better deal. @ZeD Haha, the communication is shoddy isn't it. For a massive company trying to sell a product to people, Sony do a terrible job of it. 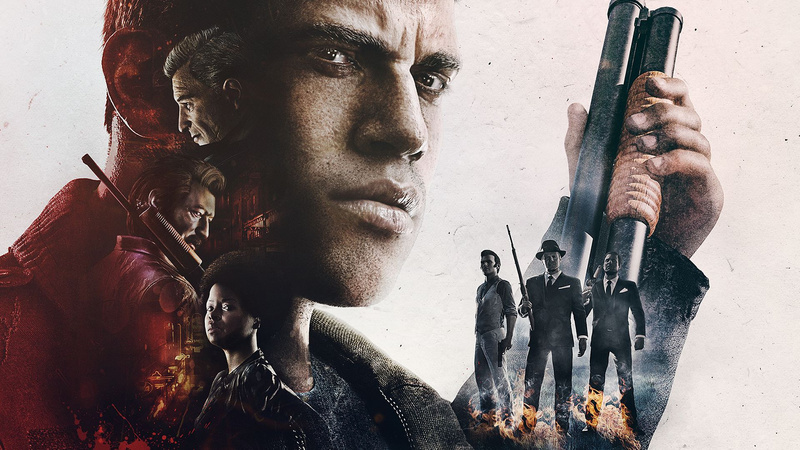 @Neolit I too actually really like Mafia 3. I think it got harshly reviewed when it came out. To be honest, I'd be happy just driving around listening to the soundtrack if nothing else! It also had nice variation potential with the lieutenants mechanics and a few different endings. A strong 7/10 it should have been. @tomassi Watch it, you'll be banned for talking about trophies like that! Anyway, I really didn't enjoy Mafia 3. I've put in 20 hours, know the lyrics to every radio station, but it all felt like doing chores. @Neolit Yeah, I've not played tons of it so maybe never got to the point where it gets boring or repetitive, but what I've played I thought it is really good fun! Can't beat burning down the road with the sounds of Creedence Clearwater Revival blasting out the stereo! @ZeD I know, it's really shocking isn't it. I can't believe they don't have a set day for a guaranteed announcement like PS Plus does. I mean, it costs £85.99 per year for gods sake, they should at least pretend they value the customers who spend that much on it!! @Kidfried yeah I've not put in anywhere near as much as 20 hours so probably haven't got to the boring repetition yet. Now I have RDR2, I doubt I ever will either!! @AdamNovice @tomassi Okay, thought Mafia 3. Collections update sounds promising, but I still prefer owning my games over renting them.